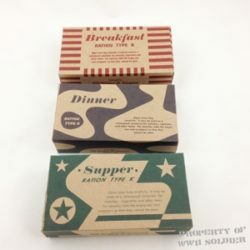 Our WWII Supper Inner K Ration Box fits inside the Early War, Mid War and Late War K – Ration Supper Box. 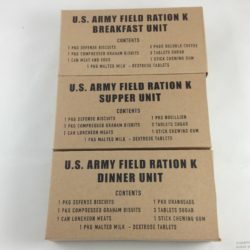 During WWII, the Inner K Ration Box was waxed and then placed inside the K Ration Box. 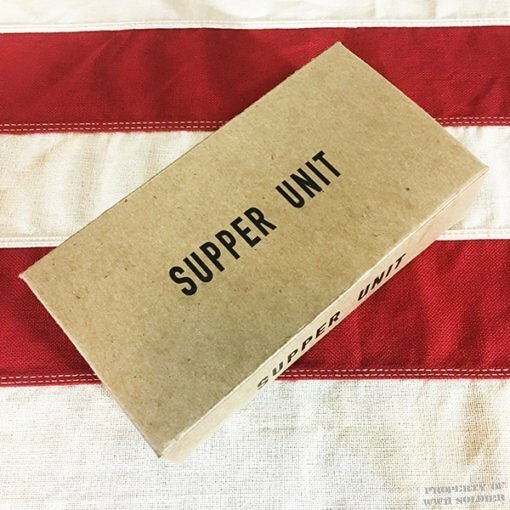 Our WWII Supper Inner K Ration Box fits inside the Early War, Mid War and Late War K – Ration Supper Box. 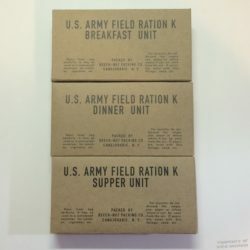 During WWII, the Inner K Ration Box was waxed and then placed inside the K Ration Box. Our box is not waxed, so you can fill it as you choose. These packages contain no food, but are perfect for your display!